Last week, I shared with you some of my thoughts on suicide from a fatigue point of view and from a mental illness point of view. As I was discussing the pieces with a coworker, I mentioned that I have been directly involved with or one person removed from more people who have committed suicide than I have who have died from car wrecks AND cancer. My coworker (and fellow Cat Person) said that, in contrast, he knew no one who had killed themselves. Huh. How about that? I know that he believes what he told me; but, I think it’s really more a matter of how you define suicide. If you go with the single, catastrophic act, then maybe he doesn’t know anyone who has committed self-murder; however, given the broader definition that we discussed back in August, I’ll bet he does. In August, I shared some statistics with you on obesity in the United States and, frankly, the rates still blow my mind. In 1960, some 13% of us were obese (having a BMI of 30 – 34.99). Today, 35% of us are. That percentage hasn’t changed much in the past couple of years; but, before we get all excited and break out the celebratory sundaes, let’s look at morbid obesity rates (having a BMI of greater than 35). Those were at only 1.4% in 1980. Today, that rate is at 6.3%, a 350% increase. I’ve lumped the super-morbidly obese in with that same group. They were not unheard of 50 years ago, but we didn’t see them every day at the mall, either. Health issues are the obverse of the obesity coin, just as they are for the tobacco coin. If you smoke, you’re more likely to get certain cancers, certain circulatory diseases, etc. 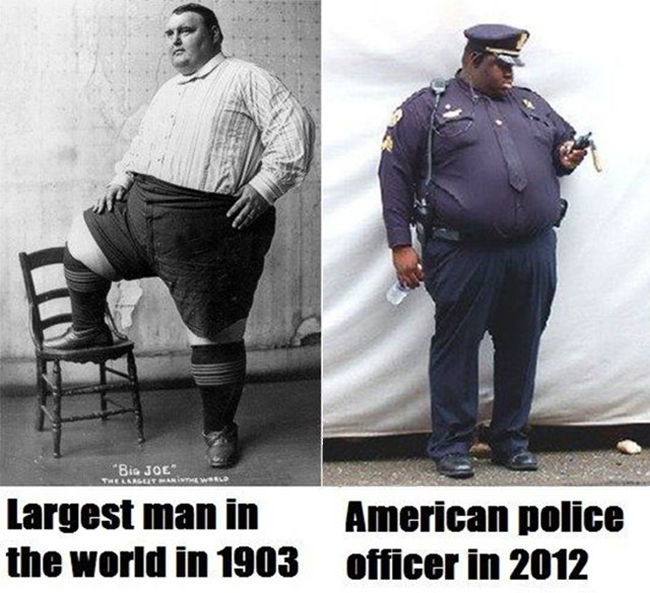 If you are obese, the same things are true. The names of the cancers and circulatory diseases may be different, but the effect is the same – continue to smoke (chew, whatever) or remain obese and you’re more likely to die of a completely preventable disease. If you willfully engage in an activity that will lead to your death – either immediately or in a few years – that’s suicide in my book. Now, let me back up and remind you that I am a nicotine addict, non-smoking smoker. I smoked for the better part of 20 years and up to two packs a day. As I told another coworker last week when he remarked that I was “fat” in an old photo, I wasn’t “fat.” I was obese – likely morbidly obese, I’ve just never run the numbers. My purpose is not to condemn. I’ve been there, right on that ledge. Many years ago, my friend Lance – who is as about as subtle as a Howitzer (one of the reasons I adore him) – told me that I was killing myself but that I was doing it the long way. He was right. I knew it at the time, but I was at a place in my life when passive suicide sounded like an okay idea to me, really. It doesn’t anymore. So, my friend, I’m asking you to look at your feet. Are you standing on a ledge? If you are, good news! You’re still standing! That means you can take my hand and come back down. Let’s stay off the ledge together. Taking your hand again, dear sister, choosing to step away from the ledge today. Starting my day with a banana, apple for break, a REASONABLE portion of baked tato with turkey meatballs and cheese for lunch. Love you!